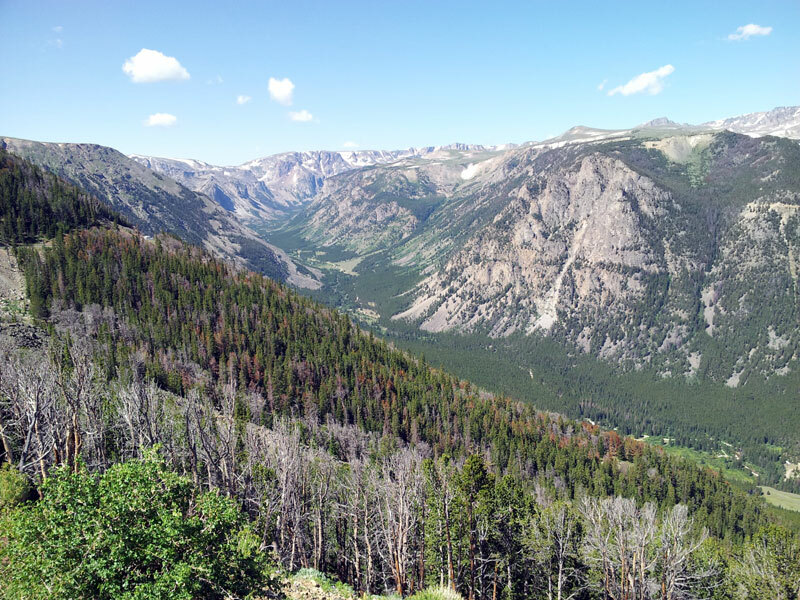 This view is from the scenic overlook on the eastern side of Beartooth Pass. The town of Red Lodge, Montana is down in the valley further to the right. 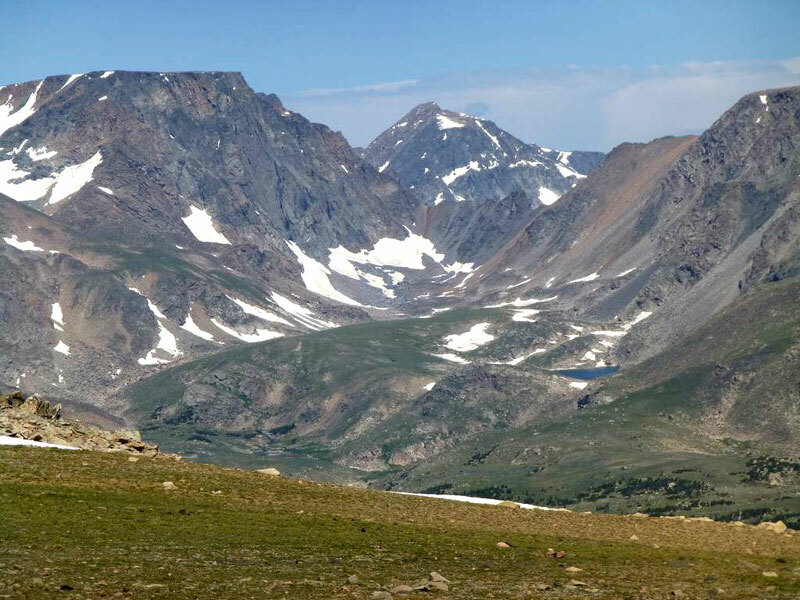 This is a view of the Beartooth Mountains from the plateau near the western summit of Beartooth Pass. This clearly does not qualify as a scenic picture, but it was taken at the western summit of Beartooth Pass, which is very scenic. 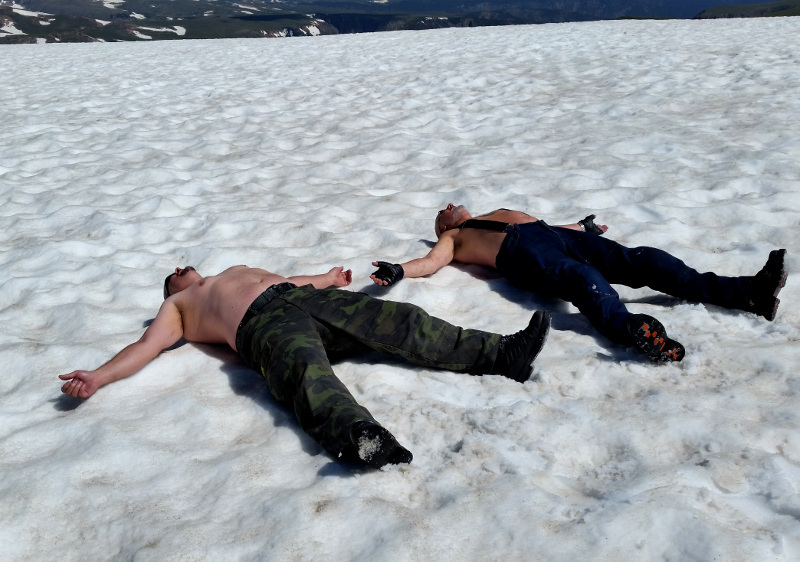 This is Stuart and Philip from the 2014 group cooling off in 70°F weather. Needing to cool off in 70°F?? ?